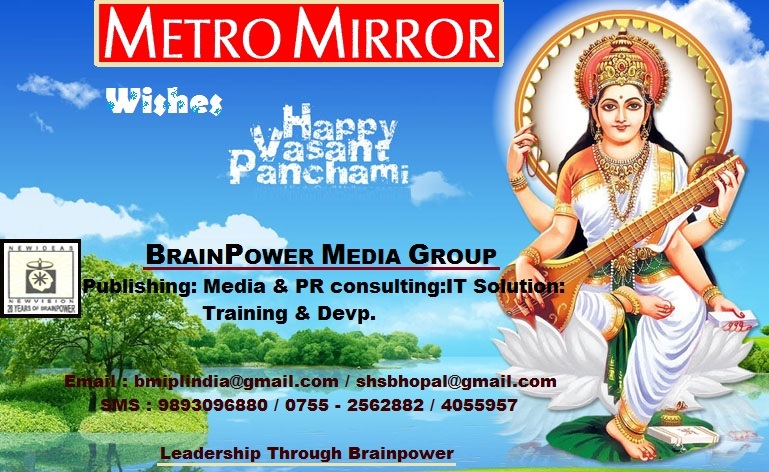 Brainpower Media India P. Ltd. is an Integrated & Innovative Media House engaged in Publicity, Media, Consulting, News & Information Services, Advertising & Communication Solutions, Public Relations & Event Management, Internet & Web Technology Solutions, Television, Software Production, Training & Consultancy for the young media professionals. We are visionary, Brainy, Confident, Strategic, Positive, Innovative & Result oriented. We invite you to use our strengths for your GROWTH & SUCCESS. VISION- To be the most respected & Innovative Media House in the SME category. Our is an integrated Media House engaged in the Varied Media / Communication activities, with the core strengths of Innovation, solutions that work and our strong belief in Leadership Through Brainpower. MEDIA CONSULTING : We provide turnkey Media consulting for those Business Houses who are looking for an opportunity to diversify into media business - Print, Television or online, through team of experienced and competent Journalists & Media, Public Relations, Advertising and Marketing Professionals. Initial investment in the Media project should be minimum one crore rupees. PUBLIC RELATIONS : The most important and valuable possession of any organization or person is its "IMAGE" Public Relations is the Art of effectively managing the "IMAGE" through various tools & techniques relating to the disciplines as varied as Advertising, Marketing, Branding, Psychology, Sociology, Management & Economics. we have the competent team of professionals to effectively plan and execute the Image Management strategy - led by Mr. Shiv Harsh Suhalka, Leading Journalist, Media & PR professional, Management Guru, Trainer & Motivator. Mr. Suhalka is Past Chairman Public Relations Council of India ( PRCI ) & Director (Media) in the National Executive of the PRCI, headquartered at Bangalore. We have the National Network to plan and execute the Press conferences meticulously within the targeted budget with effective media coverage targeted at the right audience at the right time. Advertising & Brand Activation : We can visualize effective Multi-media Advertising campaigns and Brand Activation Strategies to reach out to the targeted audience leading to the desired results. Our Right Media - Planning and Most Cost - Effective Media - buying across Print, Television, Digital and other Specialized Media will definitely help you cut the cost but not the impact that you really deserve. We specialize in corporate events / conferences / Awards functions to be organized any where in India or abroad. TRAINING & HRD : We Train & Develop professionals in Public Relations, Advertising & Marketing communications, Branding & Corporate Communications, Communications & Soft - Skills for Leadership everywhere. Our competent high - caliber team of professionals with real experience in the relevant areas train the fresh graduates, MBA's, Engineers as well as the working professionals looking forward to improve their skills for higher positions of responsibility where the above skills are considered necessary for the leadership positions. Educational Institutions, corporate & Government Sector organizations & other organizations may send us their request to ascertain their training & Development needs. TV / Radio / Corporate Film Production : We have the high-caliber creative and Production team to visualize and produce the TV Program, Radio Program, wedding film, Industrial and corporate film /Ad film, as per the requirement and budget. Please mention Name of the Division in your Subject line.